Preheat oven to 350°F. Drain the pineapple rings and reserve the liquid. 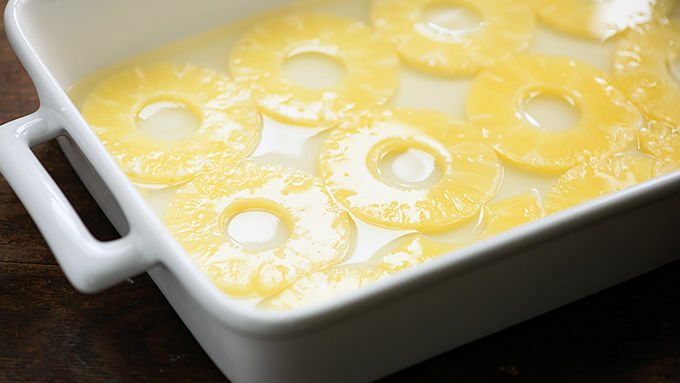 Arrange the pineapple rings in a single layer in a 9x13-inch baking dish. Pour the liquid from the can over the rings. 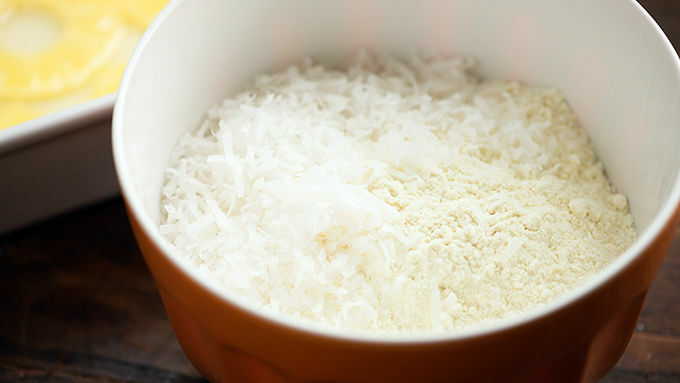 Stir together the dry cake mix and shredded coconut. Sprinkle evenly over the pineapple rings. Melt the butter and drizzle over the cake mix, being careful to cover as much of the cake mix with butter as possible. 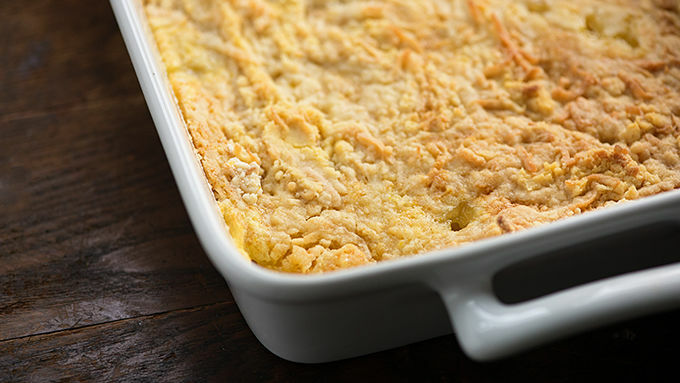 Bake for 40 minutes or until golden and cooked through. 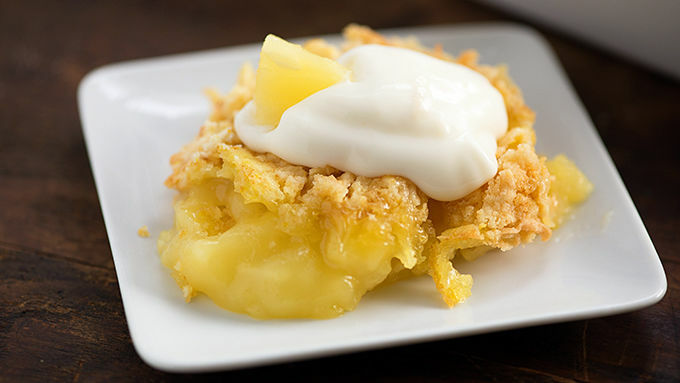 Serve with dollops of piña colada-flavored yogurt for extra zing, and garnish with extra pineapple chunks if desired. 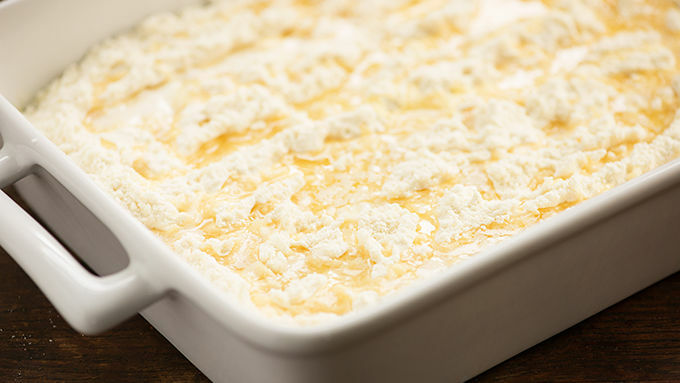 The tropical flavors of a pina colada and the ease of a dump cake make for a delicious dessert! I’m a big fan of pina coladas. I mean, who isn’t? You should know that I’m seriously resisting the urge to sing about pina coladas right now. You’re welcome. I’m also a big fan of cakes. Especially dump cakes! They’re not always the prettiest, but they’re just about always the easiest. 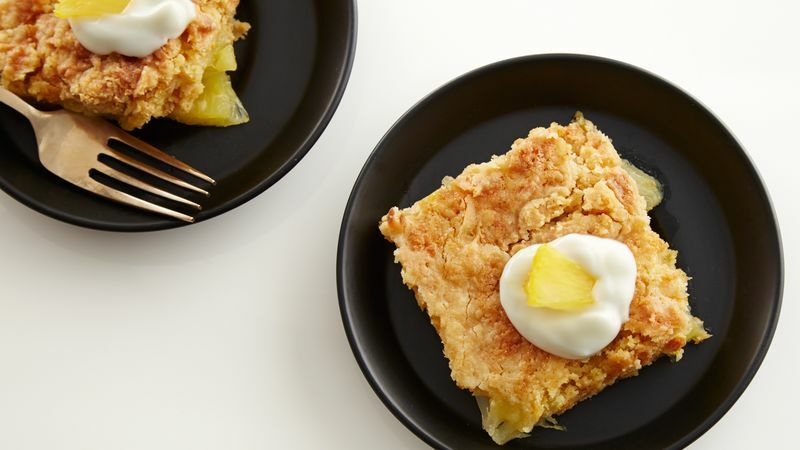 I went ahead and married pina coladas with dump cake, and you’re going to love it. I left out the booze, but feel free to serve this with a shot of rum to wash things down. I won’t tell anyone. You could top it with whipped cream, but why would you do that when you can double down with Yoplait’s pina colada yogurt?